Marjorie Frith - Website of risingtidewriters! Marge grew up in Lexington MA, and graduated from Lexington High, where she played varsity softball, basketball and field hockey, and sang in several musical productions. She was active in Girl Scouts, earning the coveted Curved Bar. Following graduation, Marge joined UBS Chemical, a small, innovative industrial chemical plant in Cambridge MA. She continued her education at local colleges offering evening classes, graduating from Northeastern's Lincoln College with an Associates Degree in Chemistry. Musically, she studied piano as a child, and played the church organ for some Sunday School functions. She also taught herself a little bit about accordion, guitar, ukulele and banjo. About ten years ago, after a chance encounter with a trombone player from the Sandwich Town Band, she found her passion, taking up clarinet, and then saxophone, playing her first 'gig' with the Band at a High School Graduation ceremony. More recently, she was instrumental in establishing the local branch of New Horizons Band, an international instrumental music group for seniors, which plays locally in South Yarmouth. Marge currently plays saxophone with the Harwich Town Band, and helped to establish the support group, Friends of Harwich Town Band. 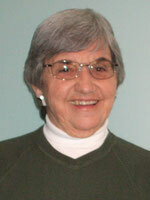 Marjorie Frith is mid-way through her tenth year as a volunteer tutor at Harwich Elementary School. That's where she met LUCKY and listened as Candice Wroe, a second-grade teacher, told the story of his early life. 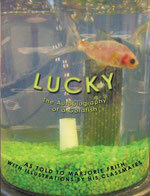 LUCKY - the Autobiography of a Goldfish, is written in the first person, engaging early readers as LUCKY speaks directly to them. Further intrigue for young readers and listeners alike is created by Marge's decision to have all the artwork drawn by the second-graders who became LUCKY's adoptive family. There's an illustration on every text page! LUCKY takes the reader from a backyard pond, to a school-yard pool (where he endures a cold winter alone), and finally to a new, warm aquarium in a loving, adoptive home. Along the way, it reveals tidbits of science, affirms every creatures will to survive and demonstrates many aspects of human kindness. LUCKY - the Autobiography of a Goldfish is available through AuthorHouse, Amazon, and in many libraries and book stores on Cape Cod. Please CLICK HERE to view a video of me speaking about LUCKY at a Rising Tide Writers meeting in April 2013. My daughter works in a hospital ward with terminally ill children. I think that LUCKY's "will to live" would be a very special lesson for them. Beverly, Sandwich MA. Ms. Marge tells LUCKY's adventures with age appropriate vocabulary, and engages early readers (and lucky adults) by pulling them further into the story with simple scientific/nature questions and observations. 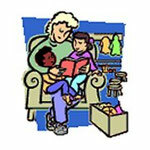 The charming illustrations are by LUCKY's adoptive second-grade family. Each picture is a delightful composition of imagination, color, design and layout, understanding, humor and, in many cases, an amazing use of detail. A wonderful addition to the growing libraries of growing kids. 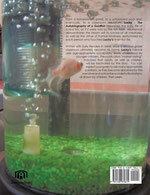 If you end up having to buy a goldfish - so much the better. Elizabeth Moisan, Illustrator and Author of MASTER OF THE SWEET TRADE. I read my granddaughters (age 3 and 5) LUCKY's story and they loved it! Him telling his own story (through Ms. Marge) made it seem immediate and personal to them. But the illustrations especially fascinated them. They wanted to know the name of the child that did each one (listed at the back of the book) even though they didn't know these students nor their school. Entertaining, original, informative and appropriate for early and soon-to-be readers - Highly recommended! LUCKY finds that adoption by a wonderful family can certainly improve your life! The artwork by children is what drew me to this wonderful book. The illustrations are crisp, clear and colorful. The story is written in a style that I am certain will appeal to friends of mine who have a young son. He is not reading yet, but I am sure that his mom and dad will enjoy the experience of sharing. Great gift idea. Joan Kelsy, South Dennis MA. LUCKY is a great picture book for preschoolers . . . an excellent example of well-done personification. A fantastic concept. Look for tidbits of science. Applause to the author and the talented illustrators! Stevie Boo, Cape Cod.